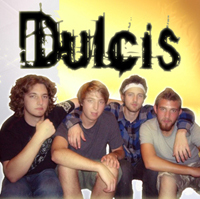 Dulcis is a metal band from Winnipeg, Manitoba. Their first EP "Convincing Me" was released in September of 2008. The songs Convincing Me, Suicide Notes and Fear Everything can be heard here.